Yorkshire and Lincolnshire-based construction firm Hobson & Porter is nearing completion of works to Bransholme Fire Station, marking the third project completed for Humberside Fire and Rescue (HFRS) in the last two years. Thanks to many years of experience working on high profile, large and busy public sector buildings, the company was chosen to carry out three new fire station projects for Humberside Fire and Rescue Service; Clough Road and Bransholme, both in Hull, and Immingham West in North Lincolnshire. For the first time in nearly a decade, Humberside Fire and Rescue Service has recruited new full-time firefighters. To complement the new intake, a significant investment was agreed to transform Immingham West into a purpose-built training facility. HFRS Director of Service Support Steve Topham says that thanks to Hobson & Porter, the station extension was able to be completed in time for the New Year, despite a very tight programme of works. He said: “It was essential that the facility was completed in time for the beginning of our 13 week firefighter course. Any delay would have meant serious disruption to the tight training schedule. 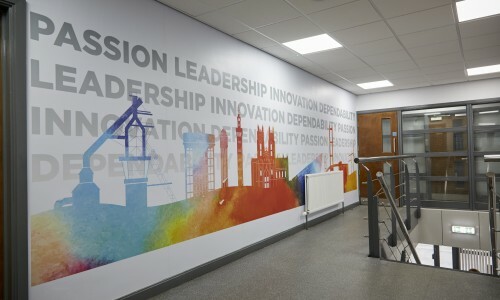 The Immingham West facility has been fitted out with a host of new amenities, including living quarters, modernised shower and changing facilities, improved break-out areas and a bespoke teaching classroom. A refurbished outdoor training area has been developed with a marine firefighting unit, compartment fire behaviour training units, BA chamber complex, HGV trailer, open water facilities and a silo, which ensures that new recruits will be put through their paces in a safe, challenging and realistic environment. In 2015, Hobson & Porter delivered a £2 million state-of-the-art station at Clough Road in North Hull. The building was shortlisted in the RICS Yorkshire & Humber Awards. The building was a modern replacement to the Service’s previous station, which was built in 1959 and was in a state of disrepair. 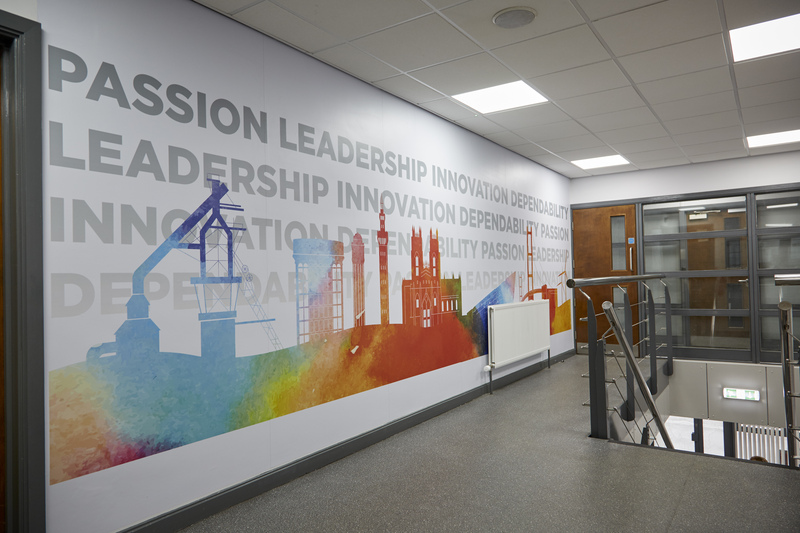 After demolition of the old building, Hobson & Porter erected a two-storey facility complete with dormitories, kitchen, canteen and a state-of-the-art fitness suite. In November 2016, Hobson & Porter began an internal refurbishment worth nearly £500,000 at Bransholme Fire Station in Hull. The station was built in 1976 and is occupied by 24 full-time personnel. Hobson & Porter is in the process of upgrading the station’s internal facilities, fitting a new boiler room, gymnasium, welfare pods, appliance bay, dormitories and shower facilities, and refurbishing the existing kitchen. The project is taking place while the station remains operational, and is due to be completed in July 2017. “For the projects at Clough Road and Immingham West we were required to work to a tight programme in order to get the new facilities open and ready for operation as soon as possible. “The refurbishment of Bransholme Fire Station requires a phased set of works in order to keep the facility open during works. This is a challenging project as there are many considerations for the team to take into account – such as access for the public and Fire Service staff, restricting of work areas, noise pollution and much more. Humberside Fire and Rescue Service covers the four unitary authority areas of the East Riding of Yorkshire, Hull, North Lincolnshire and North East Lincolnshire, serving a population of almost one million people spread over more than 1,350 square miles.